You'll discover there is a wide range of hearing aid styles and technology available. Your lifestyle and listening demands will help determine which hearing aid technology will be a good value. The most advanced hearing aids are generally characterized by multiple channels and bands to shape the frequency response, noise reduction for listener comfort and multiple memories for different listening environments. Hearing aids can also include features such as directional microphones and telecoils that assist with hearing on hearing aid compatible telephones. 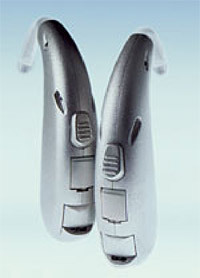 CICs are one of the smallest and most discreet hearing aids. However, since they are smaller you may have to give up features such as directional microphones and telecoils. ITCs are just visible outside the ear canal. In some cases ITCs can accommodate a directional microphone. ITEs can fit a wide variety of hearing losses and are one of the easiest styles to manipulate. It typically fills the entire bowl portion of the ear (concha). 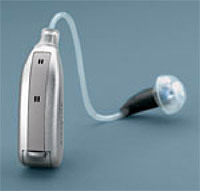 BTEs consist of a unit that rests over the ear and the sound is directed to the ear canal through an earmold. Also fits a wide variety of hearing losses and is the amplification of choice for children. Very small and discreet version of the BTE. Sound is routed to the ear canal via a non-custom thin tube and tip. A good choice for adults with high frequency hearing loss as keeping the ear canal open alleviates complaints arising from occlusion. Can I get by with one hearing aid? In most cases, wearing two hearing aids is better than one, and your audiologist will make the recommendation in your best interest. The brain makes use of information from both ears to recognize speech, and research has shown it can provide better word understand in quiet and noisy backgrounds, and provide better sound quality. Two hearing aids also promote better localization skills. Research has also shown that when both ears are candidates for hearing aids and only one ear is fitted, the unaided ear may lose speech recognition ability more rapidly than the fitted ear. What about digital hearing aids? Digital technology in hearing aids has now been around for over 10 years. Nearly all new hearing aid fittings are with digital technology. Due to advances in technology, there are now a wide variety of levels of digital technology from affordable entry-level to the latest most technologically advanced. Telephone programs to access sound from phones and other sound sources. Because it can take time to get used to your new hearing aid and decide if it's useful, you'll have at least 30 days for an adjustment period (trial periods will vary between practices). You can return the hearing aids at the end of this time for a refund minus a reasonable fitting charge (again this may vary between providers). Even with the best technology, it is important to maintain realistic expectations. 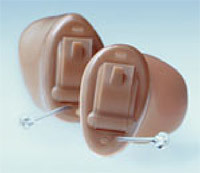 While hearing aids make sounds easier to hear, they will not restore normal hearing. Hearing aids re-introduce you to a world of sound, and it takes time to become accustomed to the new sounds. Some people adjust quickly, others take longer. Your audiologist will discuss auditory training programs, communication strategies, and hearing assistive technologies to alleviate difficulties in these situations. Untreated hearing loss impairs memory and may cause difficulty related to learning new tasks. Untreated hearing loss may result in decreased job performance and has been shown to negatively impact wages and earnings. Hearing loss treated with hearing aids has been shown to decrease fatigue, irritability, risk to personal safety, and withdrawal from social situations. Further, in many research studies, hearing aid use has been shown to increase the wearer's quality of life.